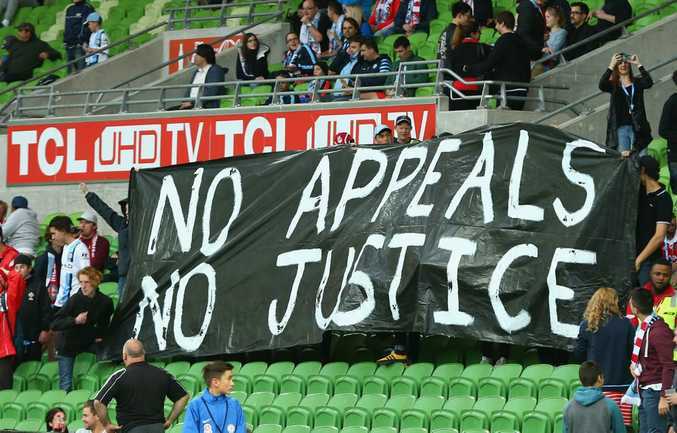 Melbourne City fans show their support last weekend. Photo: Getty Images. MAKE no bones about it; this weekend is the biggest in the A-League's history - at least off the field. 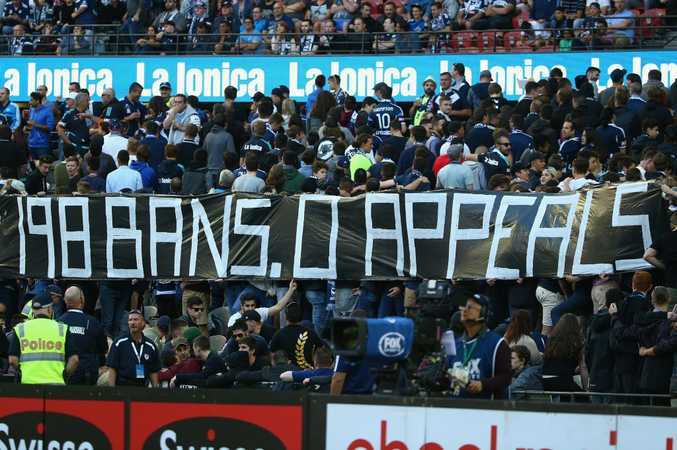 A top-class sporting competition cannot continue without the support of its fans, and quite clearly, with more supporter boycotts planned, this is a situation that is untenable for the A-League and the men at the top - new chairman Steven Lowy and Football Federation Australia chief executive David Gallop. It's all very well for Gallop to admit the top brass got it wrong when he failed to come out and attack the News Limited report which named the 198 fans banned from A-League matches. But fans need to be shown some support in this current climate instead of being issued ultimatums by the men in charge of our national game. Lowy's statement at what appeared to be a hastily arranged press conference yesterday did not appear to answer any of the questions raised by fans and commentators alike about the current stand-off between fans and the FFA. Yes, Lowy promised a review of the FFA's A-League's banned fans policy would take place over the summer. But how about some action now. Lowy, making his first appearance at a press conference since taking over from dad Frank in the top job, seemed as though he was singing from Gallop's hymn sheet. It also didn't sound as though he thought the issue of banned fans having access to an appropriate appeals process was as big a deal as the fans clearly think it is. "Getting angry and frustrated isn't getting us anywhere," Lowy said. "We absolutely stand with the fans of football. We stand with the vast majority of fans that love the game. "We don't want people with flares. We don't want anti-social behaviour. "We won't take a backwards step in rooting out the culprits." No one has an issue with that, but at the moment the FFA seems to be acting as judge, jury and executioner. The FFA is saying to fans "prove to us that you did nothing wrong and we will get you off our list", or words to that effect. It should not be up to the fans to prove their innocence. In every court in the land you are innocent until proven guilty, and that has to be the case with supporters who are alleged to have misbehaved. No one is condoning poor behaviour at football matches and it has to be stamped out, but the onus has to be on the FFA and an appeals panel to prove someone's guilt. Fans must come first and until the FFA realises that then it will continue to have a problem. 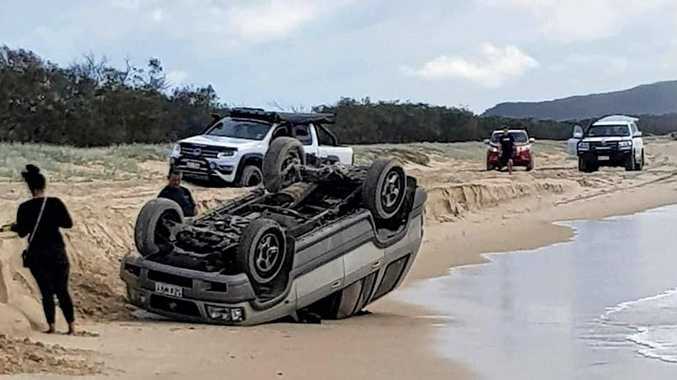 And that problem must be sorted out before February, otherwise there might not be a competition to have a problem with - and that is no exaggeration.